A completely customized front and back end powers this website. 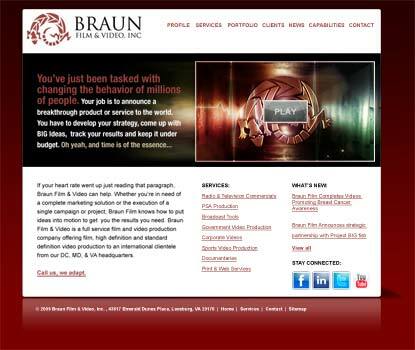 The Braun Film firm, spearheaded by Gary and Dave Braun, required a way of displaying multiple backgrounds, content and video examples of work they could maintain. The CMS powers and controls all aspects of content optimization for search engines.